After a long while, I have decided to revamp this website. It is now responsive, and I hope that it is readable on mobile devices. I know how enjoyable it is to read blogs and articles on the mobile phone; I hope that this blog will be able to offer a similar experience to readers and visitors. 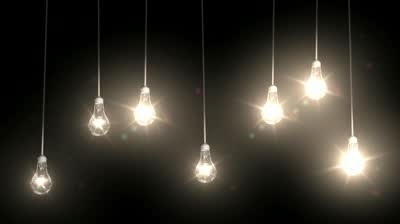 The image of the seven lightbulbs represents the guidance that we all need in our lives. As we grow older, we find that good advice is always welcome. I find myself giving counsel to some of my younger friends from fellow practitioners nowadays; I smile remembering how I was on the other end in my younger days. It is good to share information that will guide others; this is, perhaps, the reason why we write. In Malaysia, patent work doesn't come by every day for an all-rounder like myself. It can be said that much of the patent work goes to a small group of practitioners. Perhaps there is nothing to wonder at it: it is common for people who want something important done, to seek out recommendations from their friends. This is known as "Word of Mouth", a phenomenon where the well-connected will find themselves in the intersections of communities, and benefit from recommendations as a result thereof. In my recent dealings with the patents/trademarks office (MyIPO, AKA the Intellectual Property Corporation of Malaysia), I have found that there is a shift towards internationalisation of the IP regime, as well as an increased emphasis on valuation of IP. This is, perhaps, to be expected: as the business world moves towards an IP-based source of growth, IP regimes around the world require that IP be protected internationally, quickly. It cannot be good for IP holders when their IP cannot be registered in a timely fashion in other countries... that would lead to rampant IP infringement in those laggard countries. Thus, we see the rise of the PCT (Patent co-operation Treaty) in Malaysia. IP Valuation, too has increased in importance, because of business needs. Companies whose assets consist mostly of IP require proper valuation of their IP assets. Those IP owners whose rights have been infringed also need IP valuation to sue: how else do you put a figure to a court case? Intellectual property is still developing rapidly in Malaysia. I am still learning things every day.